This rugged, hand held analyzer is very effective in diagnosing problems with solid state ignition modules, magnetos, coils, shielded and unshielded ignition harnesses, ignition powered instruments, etc. The Accutek III is designed with multiple capabilities in a small powerful instrument. 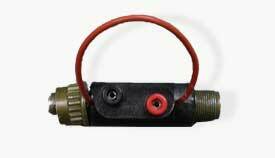 Its ability to test ignition coils, high voltage secondary leads, extensions etc. is just the beginning. Other powerful functions include; identifying failed or failing ignition modules or magnetos, electrical short circuits, poor wiring insulation, poor electrical connections and more. The Accutek III can perform an entire ignition system integrity test quickly, easily and thoroughly without the need to shut the engine down. Furthermore, it has the ability to detect problems that are not obvious or easily identified, and resolves the situation before the problem escalates. The analyzer has the ability to perform like an ignition module or ignition source, providing the electrical energy required to fully test shielded and unshielded ignition coils, secondary leads and extensions. The Accutek III can also provide the voltage to test and verify accuracy of ignition powered instrumentation. Your ignition powered equipment or control panel can be tested and calibrated without the need to start your engine. Tests coils, secondary leads, extensions, etc. Now you have the tool you need to minimize engine maintenance costs and down time. Being pro-active with your ignition system will improve engine performance, extend spark plug and catalyst life, reduce emissions, and reduce potential emissions non-compliance. The Accutek III will help you identify failed or failing components quickly and easily. Maximize your ignition system performance with the Accutek III. The accessories listed below allow the operator to easily and conveniently test the entire performance of shielded or unshielded ignition system – including ignition coils, extensions etc. 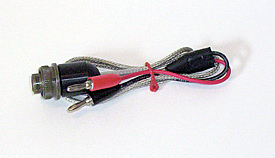 This adaptor has breakout connections allowing the technician the ability to interrogate the ignition system without damaging it. In addition, a convenient timing light loop is added for even more convenience. The Accutek III is designed to test industrial ignition coils by providing energy to the ignition coil in the same manner as an ignition system would. This allows the operator to fully test ignition coils, extensions, secondary leads and other high voltage components. The Accutek III is capable of supplying approximately 250 to 850 volts in the Leakage mode. 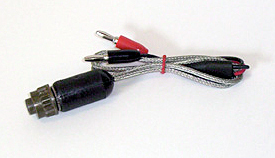 This enables the user the ability to safely test shielded or unshielded ignition harnesses for electrical Leakage from worn or damaged wire insulation. 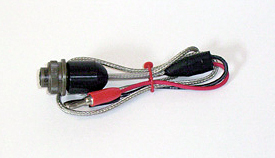 This function allows the user to measure the Peak Voltage being delivered to the ignition coil. This procedure can be performed at the ignition shutdown lead, any ignition coil or primary wiring terminal strip. Since ignition systems use redundant circuits to each coil, the Peak Volts reading should be the same at each coil. The Transfer function displays a reading of how long it takes for the energy from the ignition module or magneto to be Transferred to the coil. Since ignition systems use redundant circuits to each coil, the Transfer reading should be the same at each coil. In the ENERGY measurement position, the Accutek III will display a relative reading of Energy being delivered from the ignition module or magneto to the ignition coil. Since ignition systems use redundant circuits to each coil, the Energy reading should be the same at each coil.. 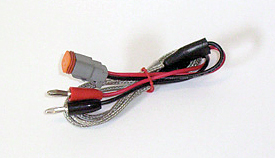 The Missing Pulse function allows the operator to connect the Accutek III to any individual ignition coil or to the ignition shutdown lead. The analyzer "learns" the engine firing pattern and alerts the user if the ignition system is not operating properly. This feature is very useful in determining if an intermittent misfire is caused by your ignition system or through other causes such as fuel or mechanical problems. The Instrument test feature provides electrical energy to ignition powered instruments or devices. This allows the user the ability to troubleshoot the control panel without starting the engine. The Accutek III, in conjunction with a properly operating ignition coil, can be used to test the integrity of the high voltage insulation in shielded or unshielded secondary leads.. If you require any further assistance or information, please feel free to contact Innovative Technical Solutions Inc. or any of our distributors. *These trademarks are the registered trademarks for the respected companies.